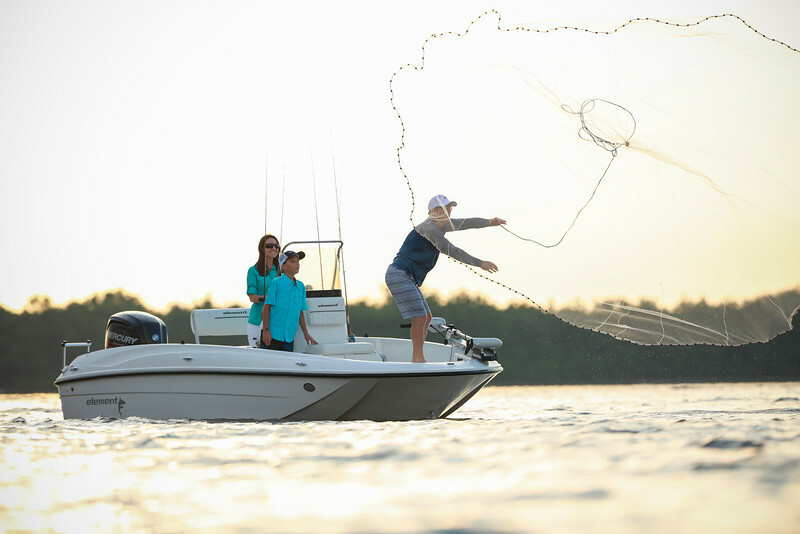 Our new Element F18 takes full advantage of our exceptionally-stable M-Hull™ by combining it with a deck plan focused on fishability. This versatile center console blends affordability and fishability in a way you simply can’t ignore. Seasoned fishermen and families alike will appreciate the features and layout we’ve put aboard this family-friendly fishing platform. Everyone will appreciate the performance and value.